Explore how we can work together. Naturopathic oncology is a way of approaching cancer care that is founded upon a holistic philosophy, and combines safe and effective natural cancer remedies, traditional therapies, and the most current advances in modern medicine. Incorporating naturopathic oncology into a cancer treatment plan allows the body to maintain health while undergoing treatment for cancer. As a physician with additional post-graduate training in oncology, Dr. Paulson understands the latest research in natural medicine. She also knows how natural therapies interact, support, or potentially interfere with cancer treatments. Dr. Paulson realizes that no two people are alike, and no two cancers are alike either. She will help you understand your diagnosis, review any questions you have about natural therapies, and provide a guide map for integrating natural treatments into your cancer plan. Dr. Paulson provides support during a time that is frequently filled with unanswered questions, stress, and confusion. She can discuss conventional treatment options and alternative treatment options. 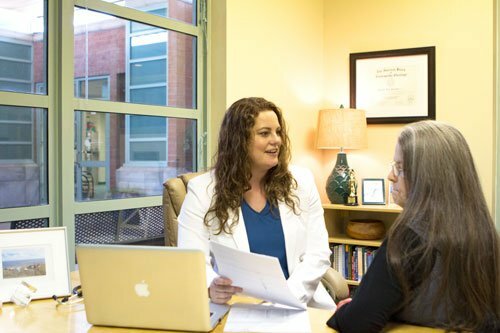 You can trust Dr. Paulson to give you an honest opinion about your current treatment plan, and provide options for additional support. 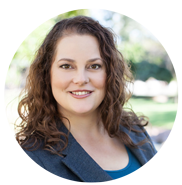 Learn more about Dr. Heather Paulson. What Does It Take to be a Naturopathic Oncologist? A naturopathic oncologist is a naturopathic physician that has undergone specialty training, exams, and certification. To become a naturopathic oncologist, I performed 2 years of residency at Indiana Health System’s Goshen General Hospital. As part of their cancer center, I supported patients with natural medicine during chemotherapy, radiation, surgery, and beyond. After residency, I applied to the American Board of Naturopathic Oncologists to become board certified in naturopathic oncology. I had to submit case studies to the board for their review. Once approved, I was eligible to take the 3 hour exam in naturopathic oncology. Studying for the exam took more than 3 months of reading research article after research article! Once I passed the exam … I did it! I am now a Fellow of the American Board of Naturopathic Oncology (FABNO) and certified as a naturopathic oncologist. This denotes an expertise in natural medicine and cancer care. Are you interested in having naturopathic oncologist as part of your cancer support team? Learn how we can work together. Schedule your free consultation.